Good broker, fast execution and rarely requotes. Fast payment and acceptable spread. Highly recommend! I have an account with this broker and can rate their services as OK. Trading is my part time business, so I tried them only on micro account. Spreads are satisfactory, average 1.3 pips during normal order flow. Quite good for micro account. Execution is also fast and swiftly, sometimes lags 1-2 second, but I believe that it is because of my slow internet. Regarding customer support, I can say that they are really supportive. Once I swamped them with specific questions and they capably answered them. I satisfied with their services. I have researched this broker for a long time before opening a live account there. and Now successfully trading with them. My observation is very positive. I have never had troubles with HotForex. I think about this broker as the BEST because they offer quite a few unique advantages and services, all are lucrative for traders, both professionals and beginners. So far, for me, the finest is the wide range of bonuses to expand deposit amounts. I have requested many of them and I will say that my requests have been processed in a short time of period. Very happy with HotForex. REVIEW ONLY FOR SCALPERS!! For those who use MT4 default auto trading feature (which I assume very few), I would strongly suggest to spend 5 min and install their One Click trading EA. I got it during my last browsing of HotForex website (haven’t been noticing it for 10 month of trading with them). Perfectly fits my news trading, particularly with low fixed spreads on their special account. Easy to setup, together with minimalistic design makes all other MT4 tools useless for me :). Note that if you are not a scalper, I doubt whether it will go with you, as there is no need to catch exact time for entry in long-trend expectations. This broker has become more and more dishonest now. They begins to play tricks on trading —limit clients’ order executed and enlarge spreads. I tried several times before news release, they always use [off quotes] to stop me from trading. Scammer!! I am a new trader who had started trading with this broker. I can easily say that opening an account with this broker is really very easy with even small deposits are accepted too. I have micro account at the moment, everything is fine and i am more than satisfied so far. Hotforex, a Forex and commodities broker for both retail and institutional traders, is a brand name of HF Markets Group licensed and regulated by Cyprus Securities and Exchange Commission (CySEC) in Europe and Financial Services Commission (FSC) in the Republic of Mauritius. Apart from the demo account, Hotforex offers 9 types of accounts with competitive trading conditions. 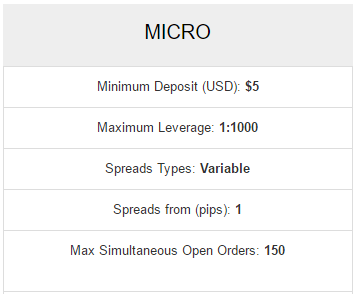 Micro Account; This account is suitable for newbie traders and those with only a small initial deposit. It allows traders to test live trading conditions with limited capital. Trading is done on the Metatrader 4 platform. 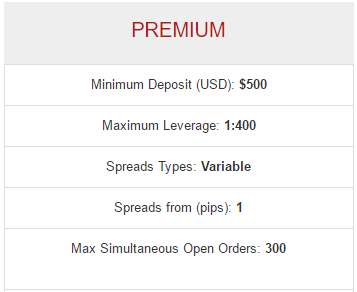 Premium Account; This is the most flexible account suitable for the experienced retail traders with up to 60 lots as the maximum position size. Trading can be done on Metatrader 4, Webtrader and mobile trading platforms. Fixed Account;Some traders prefer working with fixed spreads so as to know their trading cost in advance and factor that into their trading strategies whether manual or using Expert Advisors. 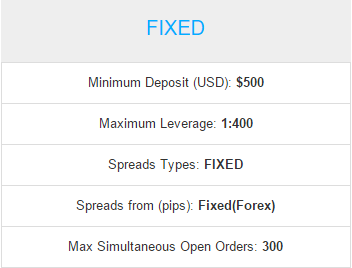 This account on Hotforex allows traders to experience fixed spread trading. Trading is available on MT4, Webtrader and mobile platform. 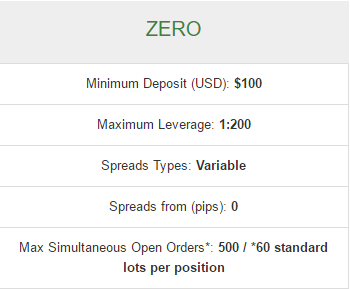 Zero Account; With just a minimum of $100, traders can open an account using interbank spreads on Hotforex. This account is ideal for scalpers and traders looking for the lowest cost of trading. This account is commission based with commissions startingas low as $0.04 per 1K lot. Trading is available on MT4, Webtrader and mobile platform. Currenex Account; this account is also designed for the experienced retail traders combining low spreads suitable for scalping and a competitive commission structure. Trading is available on MT4, Webtrader and mobile platform. VIP Account; This account opens up personal consultations with senior Hotforex currency analyst, Forex updates via SMS, a personal account manager among other perks. 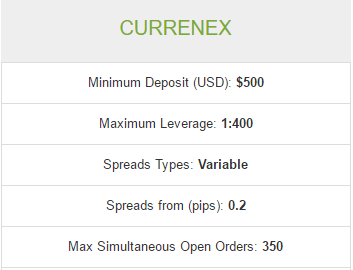 Spreads on this account start at 0.2 pips and a minimum deposit of $20000 is required. 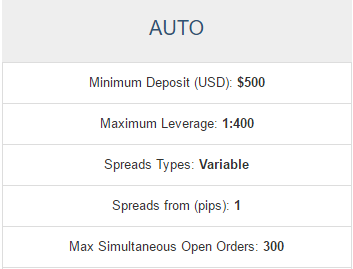 Auto Account; this is built for traders who want to utilize the signal service offered MQL5 Community directly from their Metatrader 4 platform. 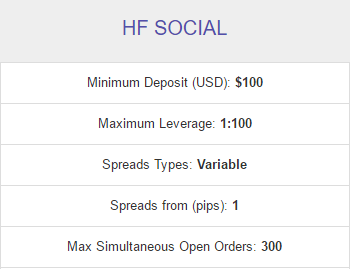 HF Social Account;this account is also designed for copy trading on FxStat platform. Traders can connect with other traders and copy their winning strategies. PAMM Account; Traders who want to become money managers via the PAMM system at Hotforex can choose from either the Premium account or the Currenex Account. Hotforex allows successful traders make more from their strategies by managing more funds. On the other hand, investors are able to find accountable money managers for their funds under a transparent model. More than 100 PAMM accounts on Hotforex show positive gains with the top showing more than 1000% in return. Hotforex has MT4 terminal for desktop, MT4 multi-terminal and MT4 webtrader. It also has MT4 mobile trading platforms for Android, iOS and Windows. Hotforex avails a direct market access trading platform powered by Integral. The platform, RapidTrader, allows the use of FIX protocol to access the market. Hotforex RapidTrader is suitable for automated trading system outside of MT4, hedge funds, brokers, and other money managers. A minimum deposit of $50,000 is required to access this platform. 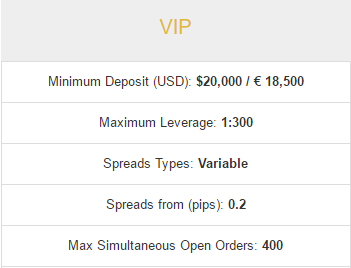 Depositing to your Hotforex account attracts no charges and can be done 24/5 during normal trading hours. Deposits via bank wire transfer take 2-7 working days with a minimum deposit limit of $100 and no maximum. Credit cards take up to 10 minutes with a minimum deposit of $5 and a maximum deposit of $10,000. Online deposit methods include; Skrill, Web Money, Neteller, Union Pay, and Fasa Pay. Depositing via these online payment processors is instant with a $5 minimum deposit. Withdrawals are processed to the same deposit methods and on the same business day. Traders Awards;This is an award to Hotforex traders who achieve the highest gains every month. The top trader every month gets a Crystal obelisk, $1000 dollars and is listed on Hotforex wall of fame. Demo Contest;Hotforex holds a monthly demo contest where the top gainers receive real funds to trade. The 1st prize is $2000, 2nd prize is $1000 and the 3rd prize is $500. 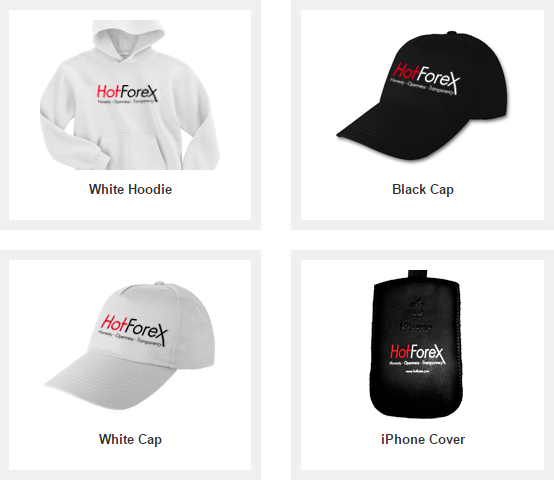 Hotforex Merchandize; The most loyal customers of Hotforex are awarded Hotforex branded products. Hotforex offers extensive trading education to its traders. It features webinars from its top currency trading experts to improve traders’ knowledge and skills on profiting from the market. It also has numerous video tutorials and ebooks on various markets as well as daily market analysis. Other than not accepting US clients, it is had to find fault in Hotforex. Hotforex is a reputable Forex and commodities broker as evidenced by them bagging 18 awards in a period of only 6 years. They have lived up to their name Hotforex where the HOT stands for Honesty, Openness and Transparency. Now, everything seems OK with Hotforex broker however “ProfitF team” will keep monitoring this broker and update this review if any changes take place.